"Why Lindsay Ervin isn't considered one of the best golf course architects in the Middle Atlantic-no make that in the country-is a little hard to understand. Every piece of ground he touches seems to turn into golf gold. His layouts are favorites of the golfing public and successful for their owners." 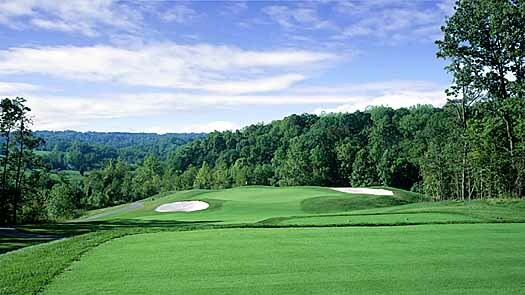 Lindsay Bruce Ervin, Inc. has been providing quality golf course design and architecture services since 1979. With the belief that a successful golf course is picturesque, playable, affordable and profitable, our golf course designers and architects aim to create golf course designs with minimal disruption to the natural environment. Our objective is to produce a golf course that is beautiful, fair, challenging, and fun to play, while remaining sensitive to the site's historic and environmental values. As seen in our Golf Course Portfolio, our environmentally sensitive and visually stunning Golf Course Designs are some of the best in the field. If you are interested in more information, please contact us.